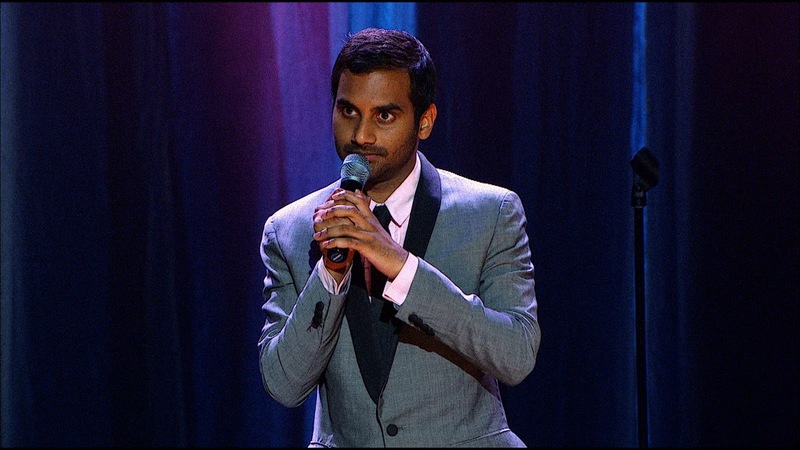 Comedy Of Chicago: Aziz Ansari @ Zanies - TONIGHT!! Aziz Ansari @ Zanies - TONIGHT!! WOAH! Aziz Ansari, one of the biggest comedy stars in the world, is performing tonight at ZANIES. Ansari's unexpected Thursday appearance, announced late Wednesday on twitter and other social media definitely has the feel of a exclusive pop-up show and YOU should definitely jump on it while you can. Aziz , if you don't know, is one of the few comedians to ever to sell out Madison Square Garden, was on NBC's Parks and Recreation, has starred in a ton of Hollywood movies and for his career in comedy received VARIETY’s “Power of Comedy” Award in 2014. In short Aziz Ansari is a comedy monster.This last-minute booking, is most probably, Ansari's crafty way of working out new show material for the upcoming and highly anticipated Oddball Comedy and Curiosity Festival which starts it's tour next week in Missouri with Ansari and Amy Schumer headlining. Big comedy stars choosing smaller venues to tighten material is not uncommon and Zanies is the perfect venue for it. The legendary yet intimate comedy club is really finely tuned for a big stars like Anzari to hone his craft in. if you haven't been to the iconic club yet, now's the perfect opportunity. With only three Thursday with shows at 7PM, 9PM and 11PM - it's sure to sell out quick.